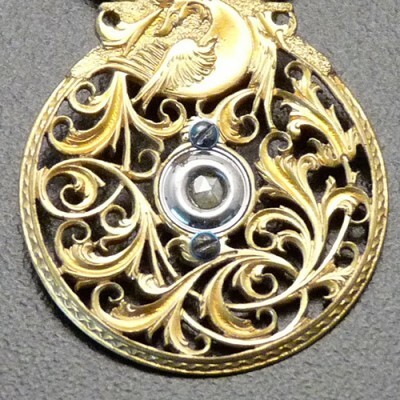 18th Century Jewelry style – was it myth or magic? Jewelry from the 18th Century is not a common sight in today’s society. Many of the pieces which are still in existence are missing stones or were, in fact, completely lacking in any precious stones. Much of the jewellery from this period used semi-precious stones or gems and has little real value today. However the pieces do have an aesthetic appeal as well as being beautiful and hold significant historical value. Of course, some of these pieces were made with gold, diamond, ruby and emerald and would have a monetary value on top of their historical relevance. Many if the items of jewelry still in existence from this period are mourning rings; these were items which were worn to remember the deceased and they often incorporated hair from the deceased person. The hair was woven into the ring or used to create an intricate, beautiful pattern. It is believed one of the rings still in existence has hair from George Washington! The Pinchbeck brooch is a floral display, set as an open piece and the leaves usually have pearls or half pearls on them. All the semi-precious stones are the same color and the brooch creates a stunning effect. These items can be bought today but they will not hold the same appeal as the original, 18th century pieces. Pieces from this era usually incorporated a ribbon which could be looped and the length adjusted to go with the event in question. They were ornate pieces of jewelry with flowers, bows and knots and even teardrops. Some of the most refined pieces even had removable central flowers to change the look of the piece. The brooch created in mourning of Mann Page and Anne Corbin Page, from Virginia consists of two funeral urns, a weeping woman and several locks of hair. 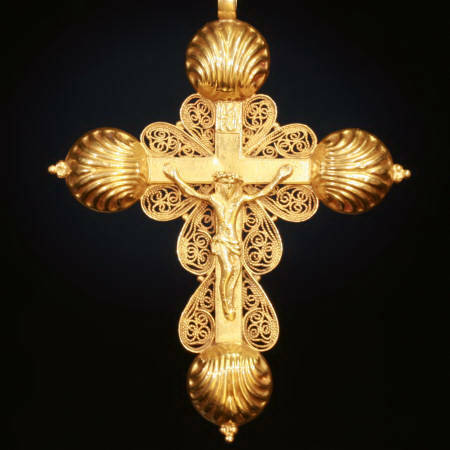 It was made in 1792 by Ro Webb in Philadelphia and could be worn as a brooch or as a pendant. Today it is a piece of historical value although when it was created it was a piece of hugely sentimental value. These rings were originally designed to enable the wearer to write on glass, although it is not clear why this was an important issue. The rings were designed on the same principles as the diamond rings of the renaissance. They have a simple gold band with a pyramid shaped emerald set in the centre. A simple ring from this period is the mourning ring. The ring can be made from any type of metal and incorporates an open front plate, usually oval in shape. Hair from the deceased can then be woven into the front plate; it can be particularly effective if there are two types of hair woven into the ring. The traditional wax seal was used to sign all official documents during this period and was only available to families with official seals. The stamp would have been made out of gold and the seal raised on one end. This could then be pushed into hot wax and placed onto any document to mark approval. There are a huge range of rings still in existence today from this period, many were designed to be worn by either a man or a woman and all incorporated eye catching designs. A popular design was a gold band decorated with scroll supporters and a central gem; these can be complemented with several small gems at the edge of the ring. Alternatively, it was common to have three gems in a straight line of different colors and surround them on each side with small diamonds. This option could be arranged as a ring or a brooch. The signet ring had also an impressive significance too back in the 18th century. 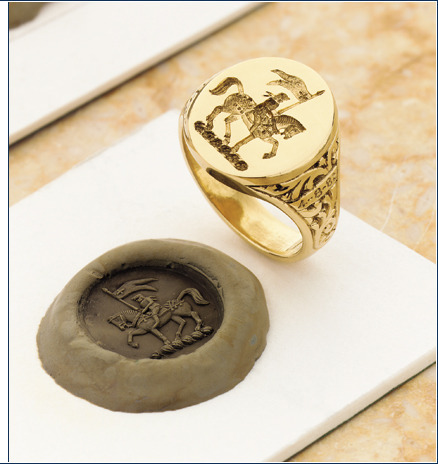 High quality signet rings were worn by men, rulers and kings in particular. The bigger the ring and the more opulent the crest, the greater impact it had on people. As with the jewellery of today, the pieces from the 18th century are varied and may have significant sentimental value to the descendents of the original owners.